In a recent Article "Expert Opinion", the LFEL (French laboratory of e-liquid) presents a study on the impact of CBD liquid inhalation in order to answer consumers' questions. According to the findings, there would be no risk in vaping CBD. Cannabidiol, called CBD, has become a real topic of debate and news in the media but also in shops selling e-cigarettes and consumers. The negative opinion about the CBD comes from the fact that it is too often associated with the recreational use of cannabis. Confused with THC, a molecule responsible for the euphoric effects of the plant, CBD differs from THC in terms of its effects, even though both compounds are extracted from cannabis. In recent years, CBD has been widely studied by many laboratories, particularly in the search for therapeutic agents that can relieve certain specific pathologies. Today, consumers are wondering about the influence of CBD on salivary tests carried out by the police during roadside checks, for example. Also, in order to ensure that CBD e-liquids do not generate positive results in salivary and urinary tests, LFEL conducted a study on the impact of liquid inhalation on CBD. 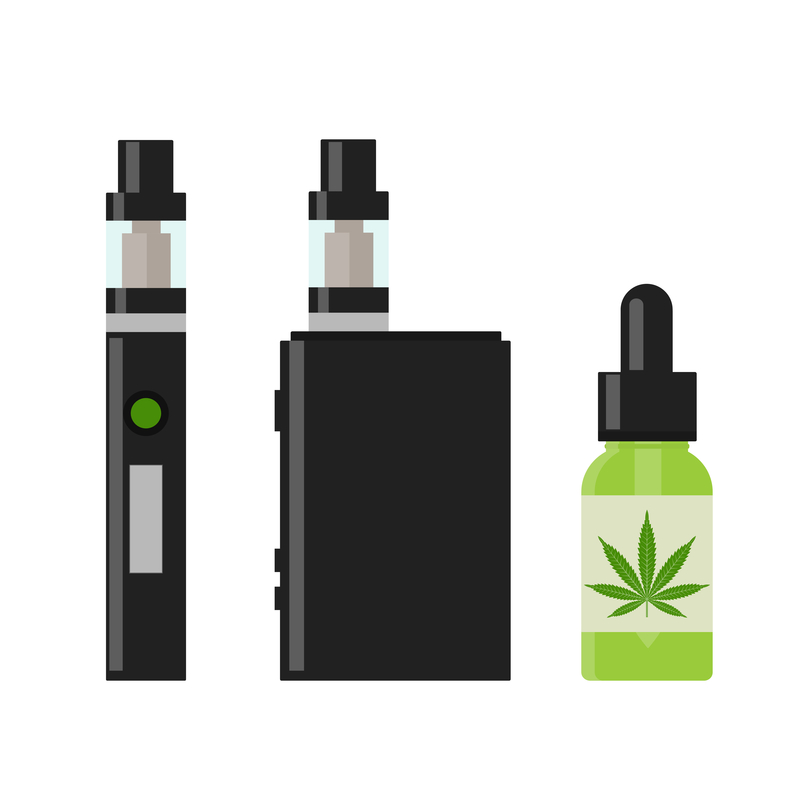 Thus, we answer consumer questions and demonstrate that "vape" CBD is safe and can not be associated with recreational cannabis. These tests were carried out over a period of 2 weeks (salivary tests = just after consumption of CBD then all 20 minutes over a period of 2h, still after consumption of CBD / urine tests = after 24 h consumption of CBD then after one week). The tests showed that despite different types of catch, representing large amounts of inhaled CBD, the results remained negative for all CBD consumers. Of course, the positive controls (THC smoked) were all positive for the different tests. The study shows that vaping CBD is safe. The CBD molecule is completely independent of THC. The consumer can have peace of mind in his consumption of CBD, good news for the world of the Vape! Previous: VAP'NEWS: The e-cigarette news for Tuesday 18 December 2018.